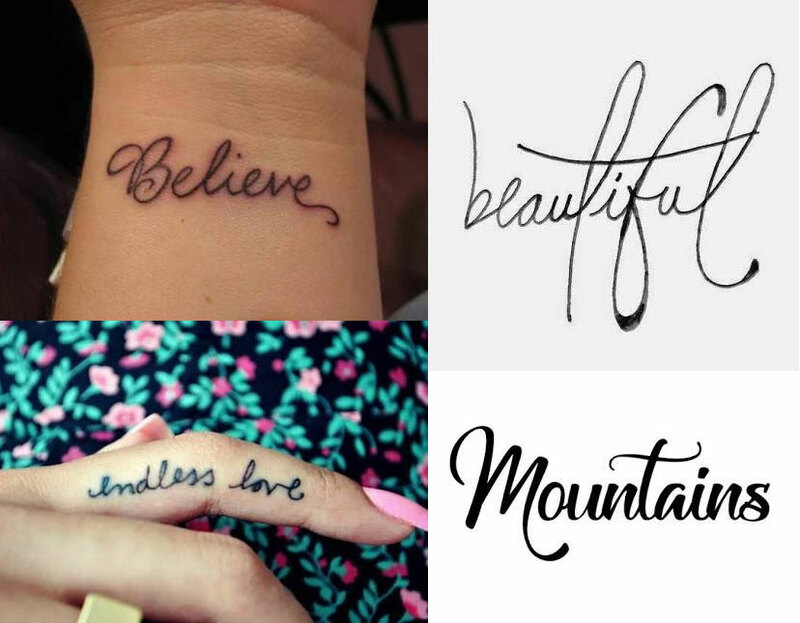 I always find it fascinating to see the process behind a piece of lettering, so I’m going to give you some insight into how I created a hand-lettered tattoo design. 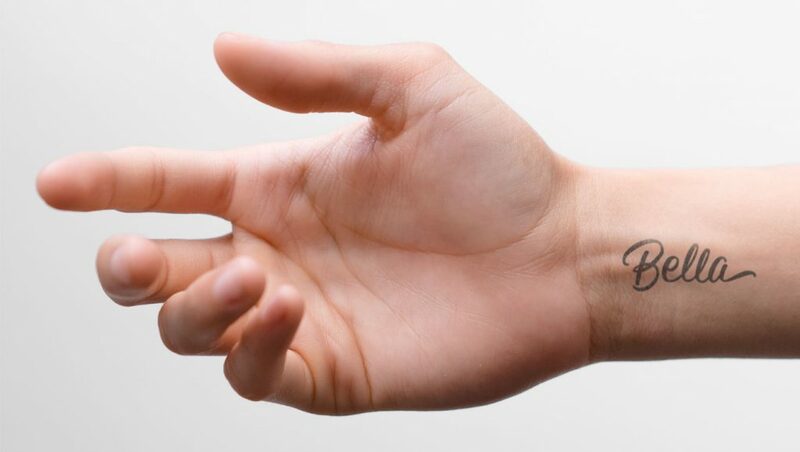 It all began when a friend of mine (let’s call her Kate) casually mentioned that she wanted to get her middle name tattooed onto her wrist. I was immediately interested – what better way to use hand lettering than to create a tattoo for a friend! I ran the idea by Kate, and she was thrilled. I began the project like any other, with an exploration phase. 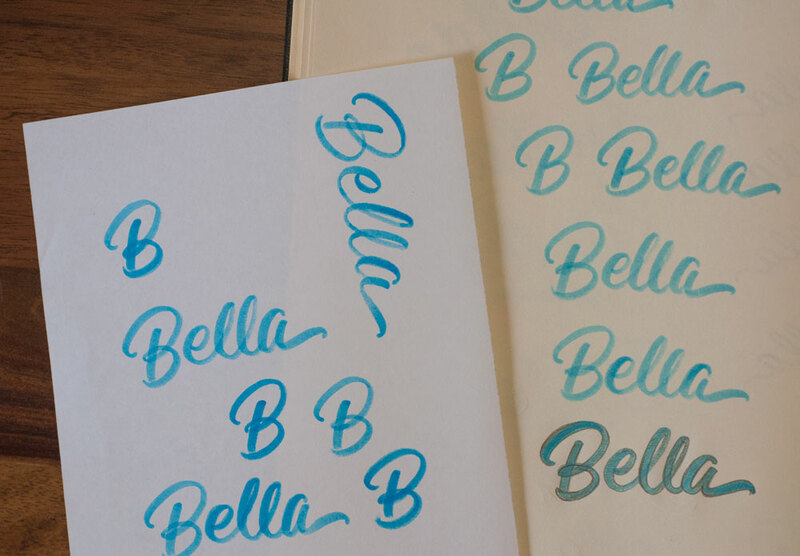 I asked Kate to show me some examples of the type of lettering she’d like me to work with. Most of the examples (as seen above) were thin monoline scripts, so I asked Kate about that. Was she set on that style, or could I explore some variations? Thankfully, she was open to ideas. 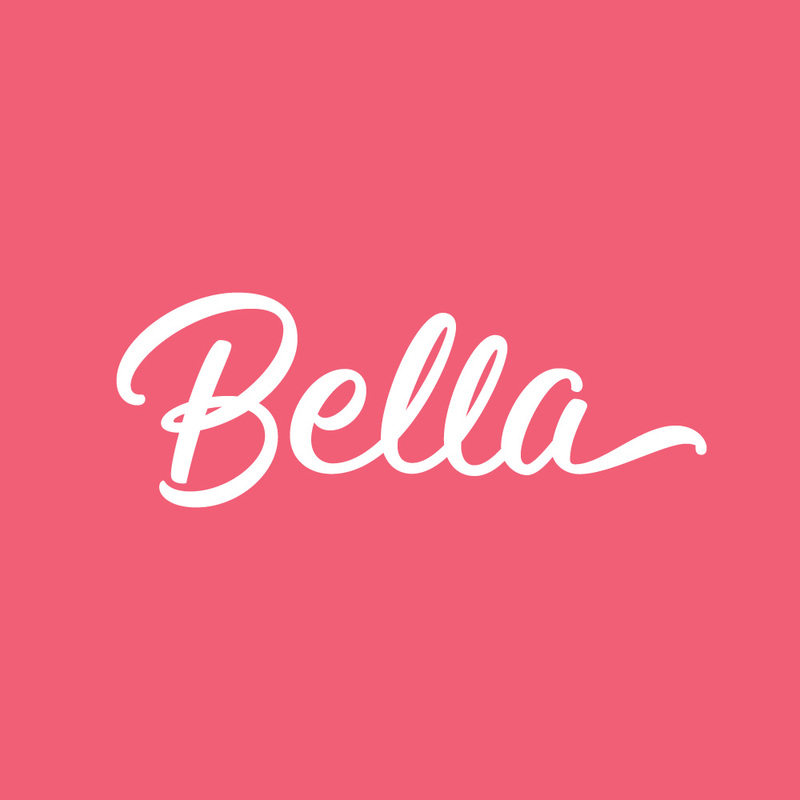 As I began sketching, I discovered that Kate’s middle name – Bella – is a really nice word to write (which isn’t always the case!). The combination of letters is well balanced, and each letter connects effortlessly to the next. I sketched a bunch of different styles and found that the contrasting strokes and casual feel of my Crayola Pip-Squeak pens were an ideal match for this project. Kate agreed that the Crayola sketches were on the right track. Next, I started looking at each letter individually. What was the best way to write each one? Should the bowls of the ‘B’ touch the stem, or not? Should the two ‘l’s be the same height? Eventually, I was able to decide on the best way to write each letter so that they had individual character, but the overall word was cohesive. I showed the tweaked sketch to Kate, and we both felt that it was getting close, but there was too much contrast between the thicks and thins. I went back and re-sketched the composition, using less weight on the down strokes, in order to achieve more similarity between the thicks and thins. This worked nicely because it let the lettering breathe – with more space between letters and wider counters within letters. After showing Kate this final sketch, she was happy for me to go digital. Note: There are hundreds of tutorials out there on how to vectorize type. If you want to see the process in more detail, just do a Youtube search. Place your scanned lettering on a background layer and lock it, then use a second layer for your vectors (this is really simple, but it’s super helpful to be able to lock and hide the layers as you’re working). Using the Pen Tool, start placing your anchor points on the outer-most and inner-most parts of each letter. 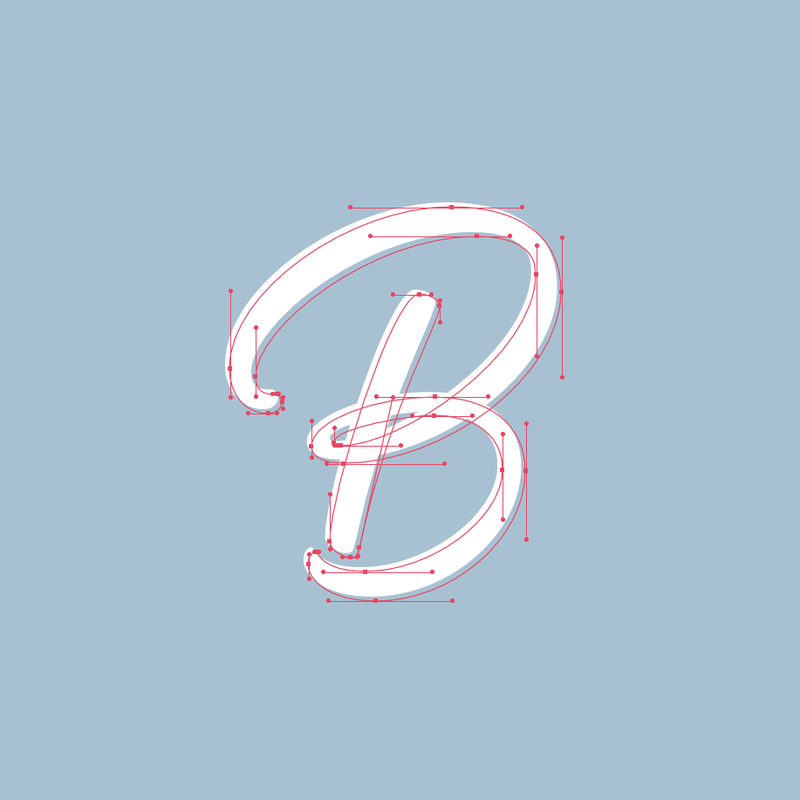 This will force you to use less anchor points, which will simplify your lettering and help with tweaking later on. When placing your anchor points, click and drag while holding shift. This will keep your handles at 90° and create smoother curves. 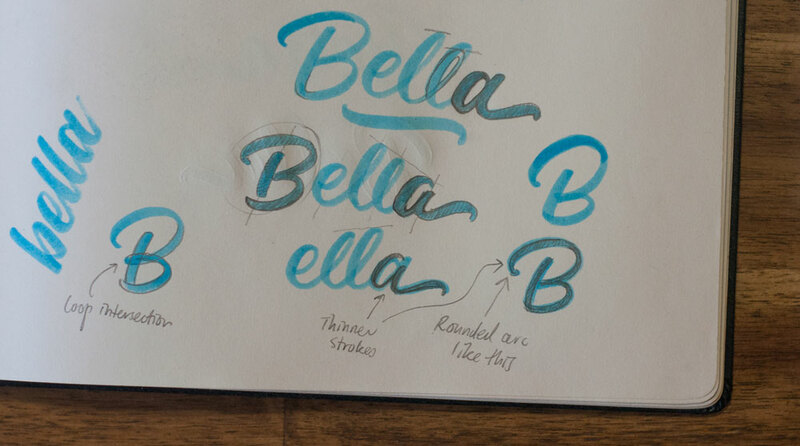 Use guides to keep your lettering consistent. As with most things in life that are worthwhile, vectorizing lettering is a skill that requires patience and practice! After a couple of hours tweaking bezier curves, I was happy with my work and ready to present it. It’s always a nervous moment when you present something that you’ve put your heart and soul into. Thankfully, the hard work paid off – Kate loved it! With a couple of tweaks, I had a finished piece of lettering that we could both be proud of. What made it even more satisfying, was the process behind the work. I could look back and see that without the process, I would have produced a mediocre piece of lettering, lacking the finesse that only comes when you persist with your process.